For this coming ski season we are reintroducing Ski Saver Packs. This means that when you purchase your lift pass and ski hire with us, we'll give you a discount off your ski hire. This offer is available with our French ski holidays only and you can add this to your booking at any time - even if you've already booked your holiday. As a one off, this discount can also be incorporated when there is an existing lift pass deal - add ski hire to your booking and you'll still get your discount. We also offer a price guarantee on ski hire, so if you find the same equipment elsewhere for less, we will endeavour to match the price. 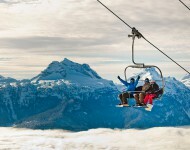 See Price Promise - Lift Pass and Ski Hire terms and conditions. For more details on how to save on your lift pass and ski hire this year, call our Ski Specialists on 0330 102 8004. How Do Ski Saver Packs Work? We hand-pick our shops every year so that you have the best selection of equipment at your fingertips. 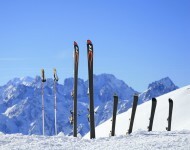 A lift pass is an essential bit of kit for your ski holiday and our experts will make sure you get the right type of pass for the best price. Whether it's your first time on the slopes or whether you're looking to get the most out of your area. 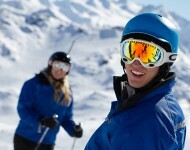 We can recommend the best ski schools and ski guides in your area. Offer can be removed at any time at Skiworld's discretion.